Hear and be heard, clearly, no matter how noisy it gets. Be heard clearly with the industry’s best noise canceling—guaranteed. Advanced noise canceling improves communication by cutting 93% of background noise. Understand every word with wideband audio. 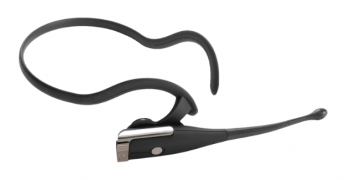 Choose the wearing style you prefer: earhook, headband or neckband. Lightweight comfort and roadworthy durability. Weighs only 0.6 oz. 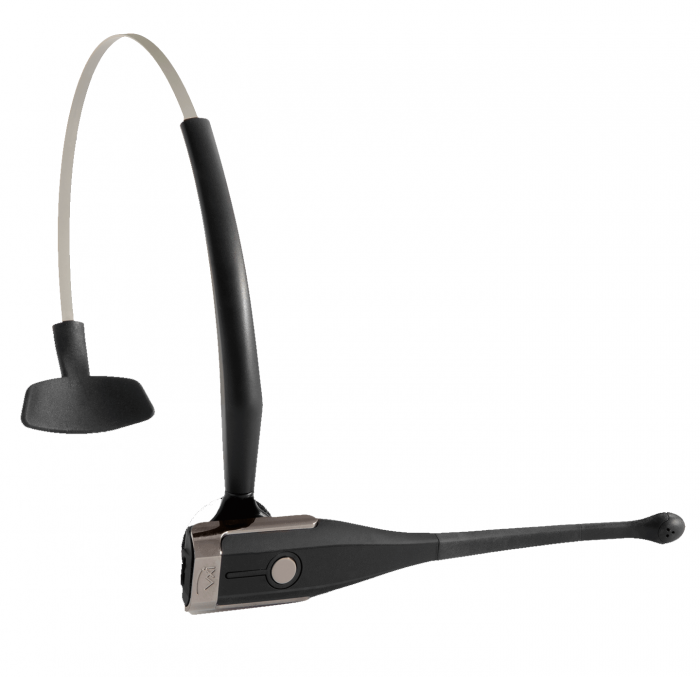 Flexible microphone boom stays where you put it for optimal sound quality. One button controls on/off, call answer/end and pairing. 7+ hours of talk time per charge. Multipoint pairing for use with two cell phones or a cell phone and PC at the same time. Stream audio from Bluetooth-enabled devices. A2DP support for use with music players, GPS and other Bluetooth devices. 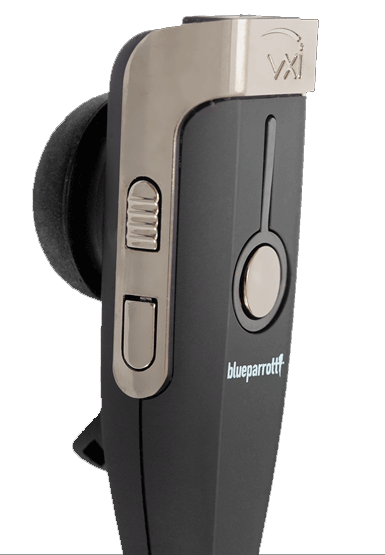 Make your phone a walkie-talkie with the VXi BlueParrott App. Use with two cell phones or a phone and PC.Push to talk to one person or a group on Android or iOS phones. The VXi BlueParrott® Xpressway II™ is the lightweight (0.6 oz.) Bluetooth® headset that knocks over 93% of background noise out of your conversations. So you can hear and be heard, clearly, no matter how noisy it gets. The Xpressway II also gives you great sound from music players, GPS and other Bluetooth-enabled devices. And its choice of three wearing styles lets you choose the style and fit that works for you.